Until today, to the best of my recollection, the Jews of Vienna are not mentioned in any community Holocaust Memorial book, although it was one of the largest and most important communities in Europe to be destroyed in the Holocaust. In memory of the Cantors of Vienna, of whom my father Usher Korn Z”L was one, and in memory of his Cantorial teachers, led by the outstanding Cantor Emanuel Frankel H”YD, I felt it right to record some of the material that I have in my possession on the subject. I will briefly review the world of Chazanut in Vienna during this period as well as the centrality of Judaism in Europe, a world that was cut off because of the Holocaust and never recovered in that city. In those glorious days at the beginning of last century, this was the third largest community in Europe. It was a model of organisation in which there were ninety beautiful synagogues as well as dozens of study houses, and Chassidic courts. In this orderly community there were rabbis, teachers and fine institutions. However, as has been said Chazanut, Jewish liturgical music, had a particularly special status there. There were many reasons that brought about the prominence and importance of Chazanut in the Jewish life of Vienna, and for its senior and influential position in the world of Chazanut from the mid-nineteenth century until November 1938, Kristallnacht. Its geographic location, and the attractiveness of Vienna in central Europe, (but close to the east), which influenced Jews to live in the city and to join the community, and there were many factors, especially socio-economic ones, which meant the possibility of better Jewish life. The fact that the community was very mixed. It was largely, composed of those who had been naturalised recently and had come from the periphery of Austro-Hungary and Eastern Europe. They were already lovers of Chazanut, and they integrated into the organized community. It was a large community that developed over fifty years to become the third largest in Europe. The influence of the activities of Cantor-composer Solomon Sulzer in Vienna (1804-1889), and his students, who integrated the Eastern European Chazanut with that of Central Europe. Sulzer created a new and attractive style, and influenced by him, Vienna became the centre of Chazanut, the place to which many European Chazanim – including from Eastern Europe – came to learn from him and his students. The respected status of Chazanim as the recorders of the performers of respectful prayer in the synagogue (promoted by Sulzer and his followers). Owing to the large Jewish population there were many synagogues for the choirs, singers, and conductors of choirs. There was a huge community (approximately 220,000 Jews in 1920, 11% of whom lived in Vienna). Before the Holocaust, the city had about 50 synagogues, and roughly a further 100 smaller places of worship. The community and synagogues employed more than 200 Chazanim, of various grades: Chief Cantor (“Ober Kantor”), Cantor, Second Cantor, as well as professional choristers who trained to become Cantors. Most synagogues had choirs, led by famous conductors and composers. The Community Board kept watch to ensure that the prayer rites accorded with agreed Orthodox practice (in Vienna Reform was not permitted, as it was in Germany and Hungary), the duration of the service, its accuracy and so on. The Cantor held a senior status in the religious life of the community. The majority of Jews in the city came from the Austro-Hungarian Empire, Eastern Europe, Galicia, Hungary, Slovakia, Czechoslovakia, Moravia, the Carpathian region, Romania, Bukovina, as well as the established Viennese etc. The city had a combination of modernisers, Orthodox, and Charedim, and the Chief Rabbinate produced a modern style of Orthodox prayer (a “reform” compromise agreement had already been rejected by the community in the nineteenth century). There was an independent Charedi community in the city which did not compromise with the community, whose members were mainly immigrants from Hungary. It is no wonder that in the city there was the greatest concentration of Chazanim in their generation. Some had already come to Vienna, in the 19th century to study with Sulzer (like Cantor Pinchas Minkowski from Kherson, Joshua Abras from Odessa and Baruch Leib Rosovsky the famous Cantor from Riga). As pointed out earlier, the Cantors who gathered, in the city came largely from the Austro-Hungarian Empire and Eastern Europe. Here, in accordance with local custom and, community practices, they were obligated to restrain themselves, and not to indulge in free Cantorial improvisation. The Jewish press in Vienna, published advertisements for communities, especially in Central Europe and the Austro-Hungarian kingdom, offering jobs for cantors, stating the necessary qualification to serve as Cantor in Vienna. In 1881 (5771), an organization of Chazanim of the Austro-Hungarian Empire was founded by Solomon Sulzer. It was a valuable, professional organization which produced a newspaper that dealt with professional issues relating to Chazanim, subjects relating to Judaism and organizational matters. The editor of the newspaper was Cantor Jacob Bauer who himself had a huge knowledge of Chazanut and music. After the paper ceased activity in 1908 many issues relating to the Cantorial world were raised in the newspaper Die Warheit. Bauer served as cantor in the ‘Turkish’ synagogue which was comprised of immigrants from Spain. They participated in the revival of their traditional Nusach, and made adjustments acceptable to Vienna while preserving Spanish traditions, (with choir conductor and Cantor Isidore Levitt). 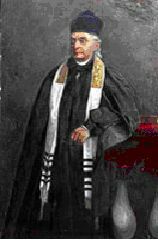 The honorary chairman of the organization was Solomon Sulzer, and its first president was Cantor Joseph Singer, Sulzer’s successor in the Seittenstetten synagogue. In the twenties Cantor Isidore Levitt was elected president of the organization (the honorary chairman was Cantor Jacob Bauer), and from 1930 the position was held by Cantor Leib Miller, one of the leading composers and cantors. The permanent President of the organization was the famous cantor, Emanuel Frenkel. These were the last to hold these roles in the organization whose operation ceased on Kristallnacht in November 1938, when synagogues were destroyed and the religious life of the community was devastated. From 1860, when emigration of Jews from the Empire to Vienna became possible, the numbers of Jews grew in large numbers and at the beginning of the First World War (1910-1914) they constituted approximately 10% of the city. They were mostly concentrated in the second district, where they had a prominent presence. In this district they built several synagogues during the last 30 years of the nineteenth century and they erected synagogues in almost all the districts of the city. Until the Holocaust there were dozens of synagogues and dozens of houses of prayer “Kloizim” (prayer rooms) and minyanim. In the first district, the first and most important synagogue in the city was built in 1826 in Seittenstetten Street. This was a ‘Cathedral synagogue’ which also served as a community centre, the place of the Rabbanut and where the chief rabbis work to this day. Solomon Sulzer worked here, followed by his pupil, the Hungarian born Cantor Joseph Singer, who died in 1912. After him was Chazan Dan (Don) Fuchs, cantor and opera singer, (1871 – 1928), who is remembered for his powerful voice. At the end of World War he moved to the United States. Next was Cantor Moritz Bernard Kaufmann, born in Kiev in 1878. He was a soloist in the choir of the Synagogue in his city, and on the initiative of Baron Rip he went to Lemburg to study Opera. Following a career as an operatic tenor in Lemberg and Prague, he turned to Chazanut in Prague, and was asked by the community to serve as a cantor in Vienna in the Ottakring Synagogue and then he was appointed to the post of chief cantor in the “Stadt Temple” (City Hall). He was a combination of perfect musician, with an outstanding tenor voice and he was an exceptional Chazan. Sadly he died before the age of fifty on Passover eve in 1927. After him they appointed as chief cantors, Joseph Heinrich Fischer (born in Hungary) in 1886, Mathias (Matityahu) Matyas who died in Theresienstadt. The Chazan Sheni was Marcus Balaban who was also taken to Theresienstadt. From 1894, and for forty years unt ilhis retirement in 1934, the choir conductor was Joseph Tzilnik. He conducted great choirs of men and boys, until he retired in 1934. A competition was held and he was replaced by Kurt Fuchsgelb, a talented young man, born in 1907, a musician, and well-known violinist. The Synagogue was partially destroyed on Kristallnacht 9-10 November 1938, but because of its location between the crowded houses in the first district, it was not burned like the rest of the city’s synagogue. The synagogue was renovated, restored and rededicated in 1946, and Cantor Shmuel Barzilai currently serves as Chazan. The synagogue operates a small choir. The ‘Vienna Great Synagogue’ was established in the second district in “Leopoldstadt”. It was built in 1858 on Tempelgasse 2 and known as the “Leopoldstadter” Temple. This great and splendid Synagogue was the largest in Vienna, containing 2294 seats and 1500 standing places. It was built in a Moorish style by the architect Ludwig von Forster who also built the “Dohany” Synagogue in Budapest in a similar style. The rabbis of the “Leopoldstadter” synagogue were Adolf Jellinek, Moritz Gudemann, Adolph Schmiedl, Max Grunwald, and Israel Taglicht. They were all prominent preachers and scholars. The Synagogue also contained the communal library which published a wealth of books, and also contained many rare volumes. The Mikveh (ritual bath) was there as well as a communal hall and lodgings for the people who worked in the community. The Synagogue was badly damaged by a fire that broke out in the summer of 1917, after the prayer for the Jewish soldiers who were there. The restoration of the building continued until 1921. The synagogue resumed its activities with the assistance of a special fund held in the community with the help of a special community budget. Famous Cantors also officiated in this synagogue. The first, from 1867, was Joseph Goldstein, one of the leading cantors in Vienna of that generation, who was born in Hungary, 1836. He was the composer of a collection of ‘old style’ cantorial pieces called “Songs of Yeshurun”. He died in 1899. He was followed as Chief Cantor by Bella Benjamin Gutmann, a native of Hungary, who only served there for a short time before he became ill and died. After him Joseph Morgenstern, a native of Uman Ukraine, was appointed. He served as chief cantor in the Leopoldstadt synagogue, for 12 years, from 1911, and became known as one of the important Chazanim. In 1927 Gershon Margulis, from a family of rabbis and cantors, was appointed chief cantor. He was born in Lithuania, (from 1912 he served as a cantor in Vienna), and Leo Funke, (Finkelstein) – who died in the Holocaust – served as his deputy. He was also a veteran and experienced Chazan. Funke was appointed chief cantor after Gershon Margulis left for London, after Kristallnacht. This synagogue employed a professional choir. From the end of the nineteenth and in the early twentieth centuries Julius Hyman served as choir conductor and his, son Rudolf, was a member of the choir. In 1904, when his father died he succeeded him in conducting the choir, (Rudolf Hyman perished in the Holocaust, in Auschwitz). This synagogue, was a source of pride to the Jews of Vienna, most of whom lived in the second district. It was notable for its beauty and its size and it became the ‘Great Synagogue’ in the city. Most of the large community events including concerts with huge audiences and the greatest cantors were held there. On Kristallnacht (November 9, 1938), the synagogue was destroyed, together with the other synagogues in Vienna. In the Second District – where majority of the Jews of Vienna lived – there were other important synagogues, as well as dozens of Batei Midrash, Shtibles and Kloizim. One of the most important of which was the “Shifschul”. The main, staunchly Orthodox Synagogue in Vienna was the congregation “Adat Yisrael” at 8, Grosse Schiffgasse. It was built in the style of the synagogues of Eastern Europe, and contained 500 seats for men and 250 for women. It functioned as an independent community and comprised a seminary, a bakery for Matzot, a kosher butcher, as well as offices and various other shops. This community consisted of mostly Orthodox Jews from Hungary, and they maintained independent institutions. They sought to maintain their autonomy in religious life and kept themselves separate from the other religious communities. 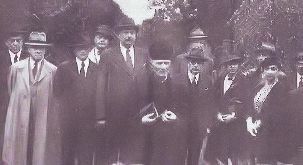 The leaders of the community were Rabbis Sigmund Fürst, and Joseph Baumgarten, from Hungary. Most members of this community in the twentieth century identified with Agudath Israel, and there was constant confrontation with the Vienna community which was dominated in the early thirties by a Zionist coalition. This had been introduced earlier by the leading Rabbi, the great Zionist leader, Rabbi Zvi Peretz Chayot (Chajes). In the twentieth century, Cantor Leibush Miller, (whose first job in Vienna this was), was followed by Abraham (Armin) Brown, (Avrohom Braun) who took up the post in 1922. The Chazan Sheni was N. Konstadt. The synagogue was burned down on “Kristallnacht”. The Polish Synagogue, ‘Beth Israel’ was located on 29 Leopoldgasse. It was founded in 1892 by immigrants from Galicia and Poland who lived in the second district. Prior to that a Polish community was located on 65 Oberen Donau Street, where they had a prayer house led by Rabbi Eliezer Horowitz. The Viennese architect – a Jew, Wilhelm Stiassny, designed a synagogue in the Eastern style, with a huge dome. It was a beautiful building with 450 seats for men and 250 seats for women. The Rabbi of the synagogue from 1895 was Rabbi Meir Meirson, an outstanding scholar who served as Av Bet Din of the Vienna community. In the thirties when he retired, Rabbi Joseph Babad ?”?? was appointed as Rav of the Synagogue. He was also a fine scholar and served as Av Bet Din. He perished in the Holocaust. In 1893 Meir Schor, son of Cantor Avraham Schor was appointed Cantor. Before his appointment in Vienna he served as a cantor in Galicia and Hungary in Groswardein, (today Oradea, in Romania). He served as cantor until his death in 1913. Aaron Turner conducted the choir in the “Polish” Synagogue. Meir Schor composed Cantorial works with the title “Praise and Song”(“Halel Ve Zimra”). He served as Acting President of the Cantors Association in Hungary and Austria, and he recorded several records of Cantorial music in 1905. 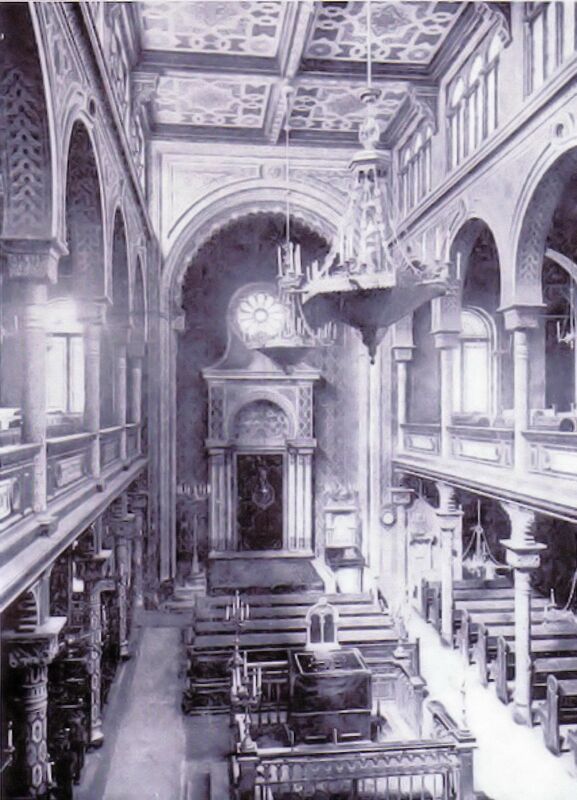 On the eve of World War I he became cantor in this synagogue, where they prayed in the Polish style. Cantor Emanuel Frankel, a native of Romania, a Rabbi, a graduate student of Pressburg Yeshiva and pupil of Yossele Rosenblatt, occupied the premier place in the world of Chazanut in this synagogue. Frankel, together with his large Choir conducted by the composer Joseph Millet, served as an attraction and provided a wonderful experience for worshippers in Vienna who came from all parts of the city to hear them. 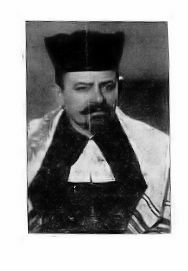 In the summer of 1928, on Shabbat Nachamu, Emanuel Frankel hosted his teacher Yossele Rosenblatt in the synagogue, where Rosenblatt led the Sabbath prayers accompanied by the choir. This was an exciting experience never forgotten by the city’s Jews. Abraham David Feuer and Shalom Weintraub both served as Chazan Sheni. In this synagogue the worshippers were generally “eastern” European religious Zionists. This Synagogue was burned down on Kristallnacht, and Cantor Frankel was murdered in the Holocaust in Latvia with his wife and daughter. The Synagogue of the Sephardic community in Vienna, the “Turkish Shul” was established in 1887, in the second district, at 22 Zirkusgasse. It was a beautiful building designed in the Spanish-style, light and with motifs of the “Alhambra”, as befits the Spanish community, old and proud, which saw itself as the elite of Judaism. This synagogue contained 314 seats. On its side galleries there were 110 more seats and it also had 250 standing places. On its first floor there was a heated prayer hall for use in the winter which contained 110 seats. The Synagogue rose to a height of 12 meters. 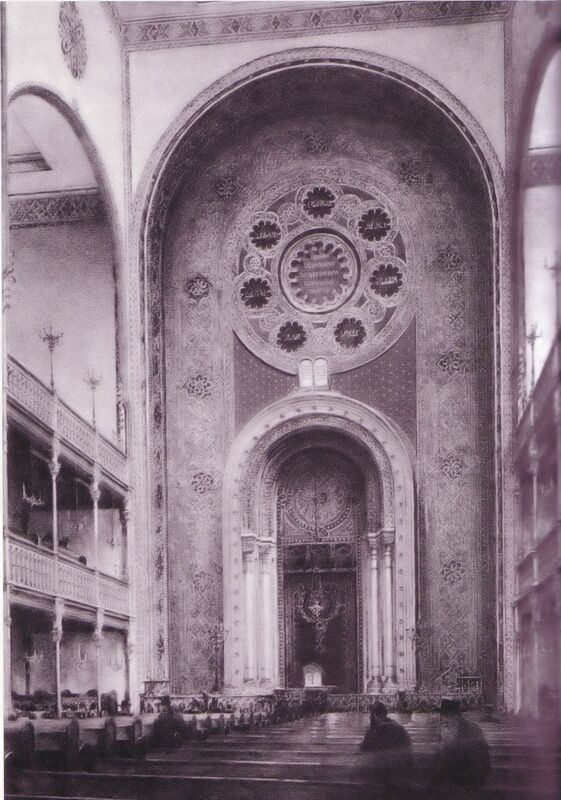 The Synagogue was covered in marble, with decorative panels in various colours, as well as gold ornaments. This community which was called the “Turkish Jewish community” was a separate autonomous community in Vienna. It was given this power of autonomy in the eighteenth century (in 1736), by Emperor Charles VI. They were subjects of the Ottoman Empire, settled in Vienna at that time, whose members were rich merchants whose businesses served the Ottoman Habsburg kingdom..
As a consequence the synagogue was called “the Turkish synagogue.” Prior to the establishment of this synagogue, this community used other places of worship, also in the second district. The style of prayers in this community followed the Sephardi Nusach, and because of demand by its young members – at the end of the nineteenth century – they began to use a professional choir, like their compatriots, the Ashkenazim, (following Sulzer). In the process they adapted the Spanish-oriental traditional melodies to Sulzer’ musical style. This was carried out under the direction of the conductor – Chazan, Isidor Levitt, (born in Vienna in 1864 and graduate of the Vienna Conservatory, pupil of Sulzer and Goldstein), and in whose collection “Shir Hakavod” he set out the Nusach of this community, in collaboration with the community’s cantor Jacob Bauer, (who was previously a cantor in Graz). They had great success, and all members of the community accepted the change in a positive way, so that the prayers in the synagogue became a place of great interest for lovers of Chazanut in the city. It is interesting that this was carried out by a choral conductor, and cantor, who were both Ashkenazim. This distinguished community, with Rabbis Dr Michael Papo, (d. 1918) and his son Dr Manfred Papo, were the last religious leaders of this noble and dignified community. The Synagogue was damaged on Kristallnacht and finally destroyed in the bombing during the war. The choir leader and Cantor Bauer died in Vienna during the Nazi occupation. Another important synagogue in the second district, was on “6 Pazmanitengasse.” It was established by a community that had existed since 1878. The synagogue was built between 1911-1913 by architect Ignaz Reiser, and contained 500 seats for men and 400 for women. It was built in the Neo-classical style, and was a corner building between 2 streets. This Orthodox synagogue was called “Eshel Avraham.” In the twenties and thirties the Rabbi was Dr. Tzvi Taubes and the Chazan was Cantor Leib Miller, who was born in Moravia. He was amongst the leading cantors and composers of his time, and he also served as Chairman of the Cantors’ Organization of Austria. He trained many students, who studied with him at his Cantorial school. His Cantorial compositions are still found today in the repertoire of Chazanim. He came from Vienna to Israel before the Holocaust, and served as chief cantor at the Great Synagogue in Haifa, d. 1947. The Chazan Sheni was Armin Shtift and the choir conductor was B. Hirschman. The synagogue was destroyed “Kristallnacht”. As already noted, in the majority of city districts all the synagogues were all destroyed on “Kristallnacht.” I will mention here some of them briefly. In the third District: there was a synagogue at “Viaduktgasse 13” that was founded in 1870. 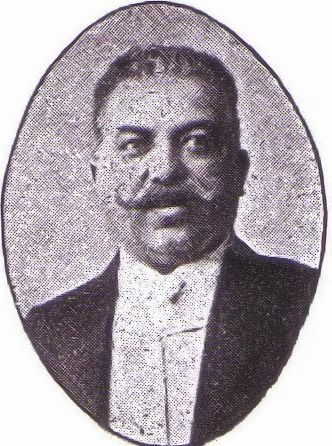 The Cantor was Salamon Levy from 1907. When he retired in 1937 he was replaced by S. Krigsman. The Rav of the synagogue was, Professor Dr Kalman Kupfer, and the choir conductor was Tabakin. 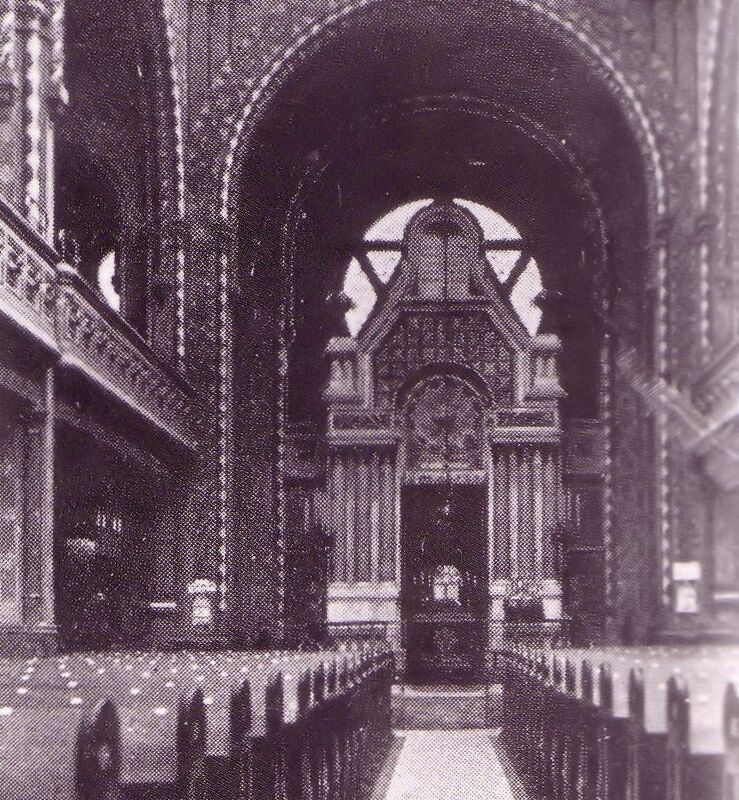 The chapel in the third district, at 15 Ardberg Street, was founded in 1884. The Rav was Dr Bernard Templer, and the Chazan G. Schmidt. There was a Synagogue, “Beit Aharon”, in the Fifth District, at 1 Siebenbrunngasse. It was built in 1908. Its Rav was Dr. Meir Gabriel Mehrer, its chief cantor Israel Katz, and Hazan Alois Eherental. The Synagogue at 3 Schmalzhofgasse, in the Sixth District, was built in the neo-Gothic style in 1883, (in the area of “Maria Hilf” and “Neubau”). The Rav of the community was Dr. Jacob Drobinsky, the Chief Cantor, Artur Levin, and Chazan, Isidor Glick. In 1938 Cantor Roth served here as chief cantor. It contained 322 seats for men and 236 seats for women. The synagogue in the Sixth District was at 42 Stumpergasse. The Rabbi was Morris Flesch, and the Cantor Abraham Fishmann. This synagogue was Chareidi-Orthodox, in the Kehillat Adat Yisrael style, which was influenced by Rabbi Moses David Flesch??”? who perished in the Holocaust. In the Eighth District the synagogue was at 12 Neudeggergasse. It was built at the beginning of the previous century in the Gothic style. The Rav was Dr Moritz Bauer, the chief cantor Jacob Landau, and the deputy Chazan Joseph Grob. 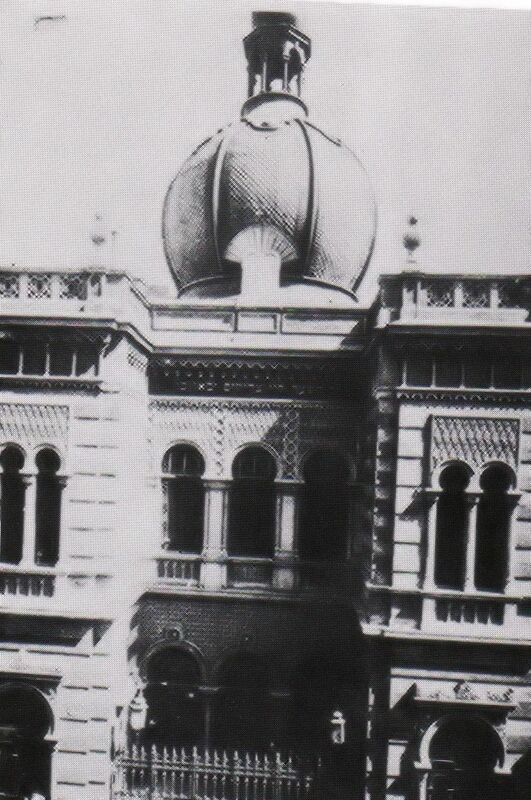 This Synagogue was famous from 1903 to 1908 when Cantor Zawel Kwartin, one of the greatest of cantors, officiated there. While he was there he made his first recordings with his choir. 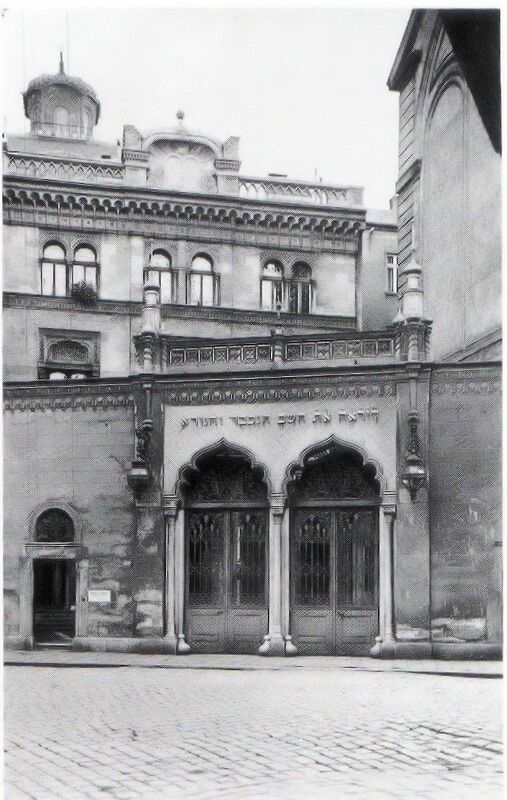 The Synagogue in the Ninth District was called “Chewra Beit Hatfillah.” It was founded in 1889 on 21 Mullnergasse, also in Gothic style, and it contained approximately 580 seats for men and women (separated). 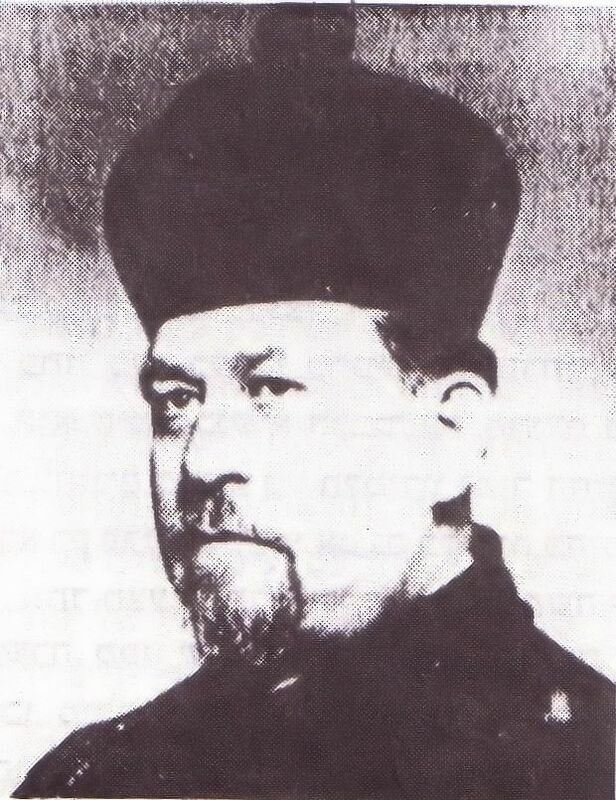 The Rav was Dr Arthur Zacharias Schwarz, the Chief Cantor Samuel Fustolob, who was an important Chazan who worked amongst the Chazanim the city. He participated in Cantorial concerts and evenings held in Vienna at that time. The Chazan Sheni was Salamon Lovensohn, and the choir conductor was Dimitrofsky. 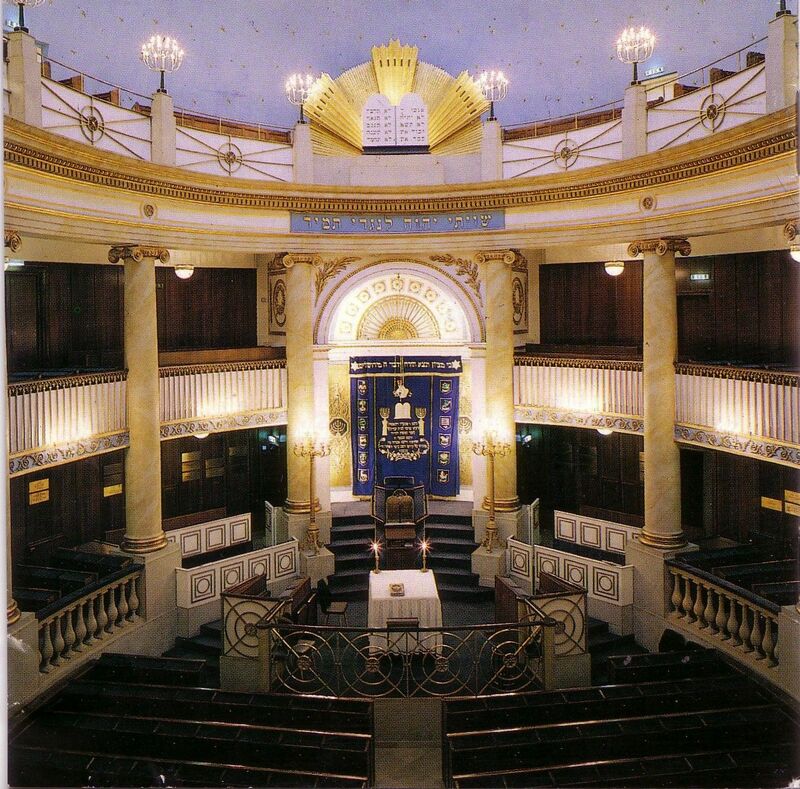 From 1913 – 1921 the Chazan in this synagogue was Zvi (Hermann) Meirowitz who moved to London where he served as the secretary to the English Cantors’ Association. After Kristallnacht he worked to help Chazanim from Vienna to make their way to England, a task at which he achieved some success. The Synagogue “Adat Yeshurun” at 5 Pluggasse in the 9th District was established in 1899. The Rav was S. Benedek, and the Cantor Joseph Schiffman. The tenth District Synagogue, Beit Knesset, “Israel” was on 27 Humboldgasse. There was also a school there. It contained 428 seats, with an additional hall which could be connected to another main hall containing 277 seats. The synagogue was built in Gothic style in 1875 by architect Jacob Gartner, who designed and built four synagogues in Vienna. At the end of last century was its preacher was Dr Hauser and the Chazan was M. G. Allenberg. After him Solomon Hirsch served as cantor. In 1889 the rabbi of the synagogue was Dr David Levy and the Chazan was Seligman. From 1930 Professor Dr Albert Abraham Weiner, who carried the title of Community Rav, served there as Rabbi. The Cantors were Simon Weiss, First Chazan, and Abraham Joseph Schlesinger. It should be noted that Rabbi Dr Weiner came to Israel in 1939, after the destruction of the synagogue on “Kristallnacht” and established a synagogue and community of Jews from Vienna in Tel Aviv as “Sh’eerith Ya’akov.” Asher(otto) Korn was the Chazan of this community in Tel Aviv. He was also amongst the Chazanim of Vienna and amongst the pupils of Emanuel Frenkel. The Synagogue in the 11th district, Simmering, was at 7 Braunbergasse. It was founded in 1904. Rabbi Dr Moses Lewin, the Chief Cantor Salomon Einhorn and the second Chazan was F. Stern. 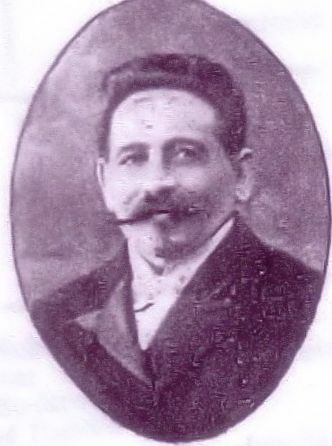 The conductor of the choir was Isidor Perzik , who immigrated to Israel before the Holocaust, lived in Tel Aviv and was known as the composer Yitzhak Peer. The Synagogue, “Emunat Avot” was in the 14th district, at 21 Storchenggasse. The Rav was Aaron Weiss, and the Cantor, Maurice Schwartz. In the 15th district, the Synagogue was at 22 Turnergasse. It was built in 1872. In 1933 its Rabbi was Dr Israel Taglicht, who was subsequently appointed chief rabbi in Vienna. The Chazan was M. Taschslitzky, and the choir conductor until 1934, was Kurt Fucksgelb. He was a well-known musician, a violinist with the Viennese Philharmonic, one of the leading conductors of choirs in synagogues in Vienna. The Synagogue in the 16th district at 8 Hubergasse was built in 1889. Its Rabbi was Dr J. M. Bach, and the chief cantor was Rudolf Kogan. Also there was Chazan Moritz Moshe Harendorf HY”D [who was murdered in Auschwitz], and the choir conductor was Joseph Perl. The 18th district Synagogue at 39 Schopenhauerstrasse was built in 1889. Its senior Rabbi was Dr David Feuchtwang, one of the leading rabbis of Vienna. He was a Zionist and supporter of the Mizrachi Movement. 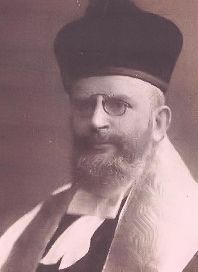 He was Chief Rabbi of Vienna from 1925 to 1938. The Chief Chazan was David Gross, who had previously served as Chazan in Hungary. In 1938 he returned to Bratislava and perished in the Holocaust with his wife and daughters. His son is a musician and conductor of choirs, Allei Geffen. He survived and immigrated to Israel. The choir conductor of the synagogue, in which there were both adults and children, Israel Brandmann. Brandman immigrated to Israel, where he was a choral conductor and an active musician. The Synagogue at 3 Dolingergasse, in the 19th district was built in 1897. Its Rav was Dr Arnold Frankfurter. The Chief Chazan was David Bohomolny, and he was followed by Cantor Joseph Feuer, (1910-2002). He moved to the U.S. after Kristallnacht, where he served as cantor for many years. The Synagogue in the twentieth district was at 11 Kluckygasse. It was founded in 1873 and contained 560 separate seats for men and women. The Rabbi was Dr Benjamin Murmelstein, and the Chief Cantor Shmuel Landerer. The alternate Chazan was Jacob Roth. This Shul was also known as the “Brigittenauer Israel Temple verein.” In the first decade of the twentieth century the Chazan here was the well-known Cantor Joseph Basser, a native of Krakow. He was followed in the early twenties by the chief cantor Israel Alter, one of the leading cantors of that generation and composer of many Cantorial composition that have been sung by Chazanim ever since. From here he moved to Hanover, Germany, and with the rise of the Nazis in Germany he moved to South Africa. 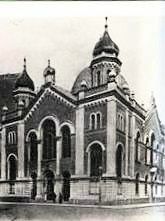 The community Orthodox synagogue, “B’nai B’rith” in the 20th District at 4 Kaselgasseh, was inaugurated in 1931, when it moved from its original site in Karainstrasse. Shlomo Salomon Kreutstein served there as Chazan, where there was also a choir. Cantor Kreutstein survived and went on to become a famous Chazan in the USA where he made a number of recordings. The Synagogue in the 21st District was at 12 Holzmeistergasse. Its Rav was Rabbi Dr Moritz Moshe Rosenman, its chief cantor Shmuel Teige, and Chazan Yunis Ivanschitz. Rabbi Dr Rosenman came to Israel before the Holocaust, and established a synagogue for immigrants from Vienna called “Habaim Yeshresh” in Tel Aviv. The Chazan was Benjamin Ungar who also served as Chief Chazan in Israel. Benjamin Ungar was brought up in Vienna and he served as a chorister in Emmanuel Frenkel’s choir in the 4th District. The house of prayer “Tefillat Yeshurun,” at 14 Sebastian-Kneippgasse was founded in 1914. Its chief cantor was Jacob Wharmann. As already mentioned there were dozens more places of worship in the city which were served by even more Rabbis and Cantors. It should be noted the community would open temporary places of worship during the High Holydays and festivals in halls and schools and rented halls of hotels, to enable services to all community. For this they turned to even more rabbis, cantors, and choirs. Community newspapers, provided details of these temporary places of worship, the cost of tickets and times of services. The changes introduced by Solomon Sulzer to the style of prayer in Vienna related also to the choir. Until his time the choir consisted of a group of children and a few singers. In his compositions he added Bass singers. His choral works were based on four voices. 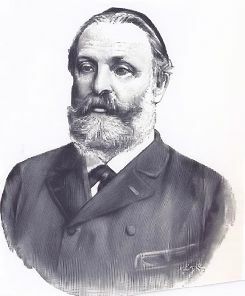 Louis Lewandowski in Berlin had introduced choirs into the Synagogue so that towards the end of the nineteenth century choirs were an integral part of an established community and synagogue. By the end of the nineteenth century in Vienna most synagogues had choirs under the baton of professional choral conductors, as befitted Viennese musical tradition. Choristers in the synagogues belonged to a community or synagogue and were carefully selected. They were required to have a knowledge of music and they received a fair wage. Some also worked in other communal occupations. From these choirs there sprang Chazanim and conductors. They acquired knowledge and experience in the choirs, and from meetings with cantors and conductors. I shall now mention a number of choral conductors in the synagogues of Vienna. In the city Synagogue in Seitenstetten Joseph Zelnik served as conductor in the twenties and thirties until 1934. This professional choir also included a children’s choir. Isaiah Verstendig served as choral chorister in that choir. Much later he served as conductor of choirs in synagogues in Tel Aviv. 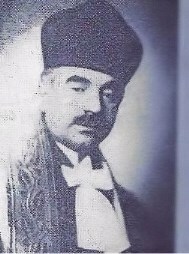 Isidore Levitt, the Chazan, musician and journalist, worked in the Turkish Synagogue for decades. (See earlier for more information about his compositions and work.) He also served as honorary President of the Cantors’ Organization. 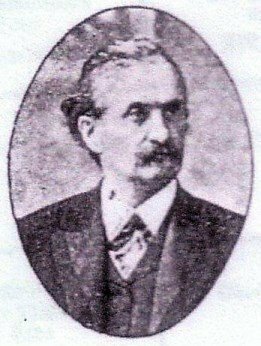 Joseph Millett, undoubtedly the most important and prominent amongst the conductors and composers of this time in Vienna served in the Polish Synagogue. He was born in 1889 in Galicia, and was a Zionist. He composed many Cantorial compositions which were made famous by the Cantor of the synagogue, Emanuel Frenkel. Between the years 1924 –1929 he went to live in Israel. He wrote melodies for poems and prayers. In 1929 he returned to Vienna to study, and returned again to conducting. With the takeover of Austria in 1938, he was tortured by the Nazis, and then managed to get to Israel. He was employed as a choir conductor in the central synagogue in Haifa, and later in the Great Synagogue in Tel Aviv. He died there in 1947, and his works, like the hymn “MiDan V’ad B’eer Sheva,” with words by Z. Jabotinsky, “B’tseit Yisrael MiMitzrayim”, “El S’fod” with the words of poet David Shimoni, are still sung. There was also the well-known conductor, Israel Brandmann, born in Russia, in 1901. He led the choir at the synagogue in the 18th District on Schopenhauer Street. Brandmann was a solo violinist, composer and musician, conductor and choir director. When he failed to obtain the prestigious appointment of conductor at the municipal Synagogue (seitensttette ), he came to Israel in 1935 and integrated into the musical life of Tel Aviv. He founded the “Workers’ Choir” in Tel Aviv, which he conducted. He also taught violinists and musicians. He composed works for choir, piano. etc., mostly Jewish and Israeli subjects. Kurt Fuchsgelb, born 1907, was among the young, talented and esteemed conductors. At the age of 25 he conducted the choir at the Synagogue in the 15th district. He acted as conductor at community events, at Cantorial concerts accompanied by violin or cello. He also served as a member of the Viennese Philharmonic Orchestra. At the age of 27 he became principal conductor at the municipal Synagogue in Seitensteten Street, considered the most prestigious position in the community. Fuchsgelb was saved and went to the USA where he developed a musical career. Other conductors were Dimitrofsky at the Synagogue in the 9th District. In the Synagogue in the 13th district there was Yitzhak Perzikk (Peer). He survived and went to live in Tel Aviv where he became a teacher to Chazanim, and a composer. Joseph Perl was conductor at the synagogue in the 16th District. 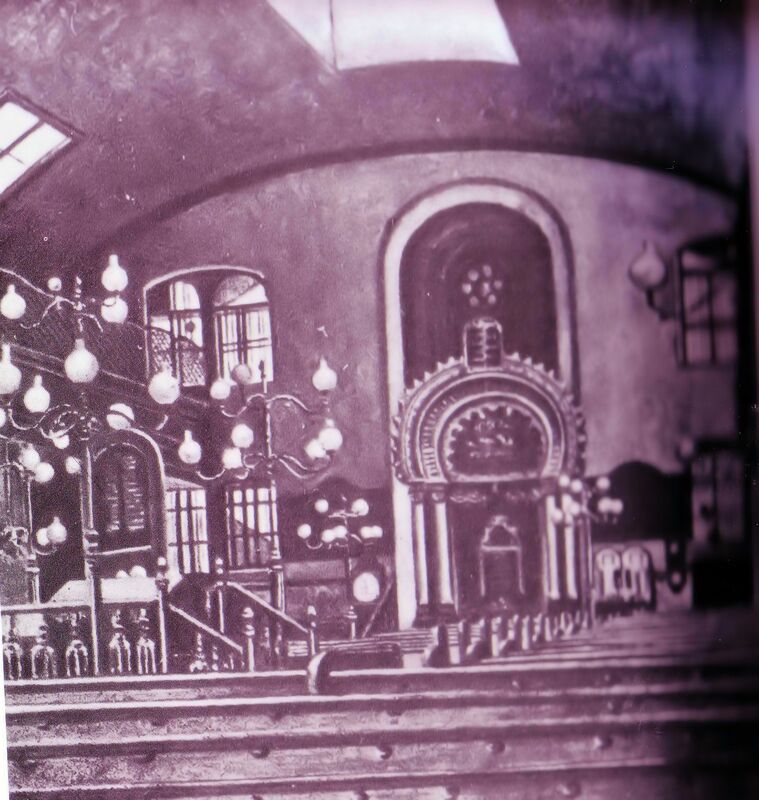 In the Synagogue in the 2nd district “pazamanitten,” Hirschmann was the choir conductor. This is just a partial list of conductors in Vienna at the time. The officers of the community and synagogues, frequently staged cultural events and amongst them were Cantorial concerts, which included the synagogue choirs and cantors who served in the many synagogues in the city. These events included cantors and choirs from communities in neighbouring countries, like, Czechoslovakia, Hungary, Poland and Germany. There were also famous cantors from countries from all over the world, such as the United States who gave performances all over Europe. They too, appeared before Jewish audiences in Vienna (e.g. Yossele Rosenblatt, Moshe Kussevitsky and the “Niggun” Choir “from “Berlin conducted by Vinaver. Sometimes Chazanim were involved in concerts of classical and Jewish music, because among the cantors there were quite a few at first-class operatic level. Their training included classical songs and operatic arias, which they usually included in their repertoire, as well as Cantorial pieces, Yiddish songs, and Hebrew songs of the young composers of the Land of Israel. The majority of the Jewish community of Vienna, and the lovers of Cantorial singing filled the synagogues and the halls. All tickets were sold prior to the performance, sometimes a considerable amount of time before the date of the event. Concerts and events were organised for regular occasions such as the days of Chanukah, Purim, Memorial days and anniversaries as well as on the initiative of organizations and impresarios. Events were also staged to raise funds for various charitable organizations, etc. They were all advertised in advance in the Jewish newspapers in Vienna, and amongst the relevant institutions and community organizations. In Vienna there were also Jewish choirs, Jewish symphony orchestras (in the thirties), who also participated in these events. Here is some information, and some examples of the cantors and Jewish musical performances in Vienna in the 30’s. As has already been mentioned, Cantor Yossele Rosenblatt appeared on Shabbat Nachamu in 1928 in the Polish Synagogue of Vienna. The Cantor of that synagogue was his pupil Emmanuel Frenkel. Accompanied by the choir of the synagogue, Rosenblatt provided an extraordinary experience for the congregation. Cantor Postolov performed in June 1930 in the Milner Synagogue in the 9th District, together with the ”yiddische Gesang Verein” choir. On January 24th 1932, a concert was held in the “Great Concert Hall” for the Community Support Foundation with the participation of the pianist Professor Israelis, the famous violinist and conductor Kurt Fuchsgelb, playing selections on the violin. The second half of the concert featured the chief cantor of Congregation Brinn (Czhechslovakia) Igo (Isaac) Mann, singing operatic arias, Cantorial pieces, and Hebrew songs. A newspaper critic praised this concert. 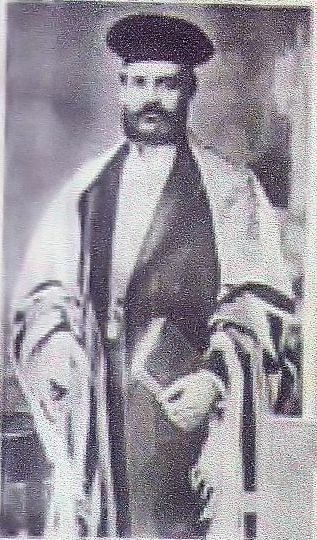 (This is the same Cantor Yitzchak Mann who was later chief cantor at Central Synagogue in Haifa). On 21st February 1932, a charity event was held at the Temple Beth Israel (the “Polish” Synagogue), for the “Talmud Torah” of the Synagogue, where there were about 200 students. This comprised of the prayers for “Purim Katan” at which the participants were the synagogue choir with its Cantor Emanuel Frankel, and visiting Chazanim, Gross, Einhorn, Weiss, funke, Bernstein and Rosenberg. The conductor was Hoenig. The programme included the Evening Service, conducted by Cantor Frankel, as well as works of Lewandowsky. Psalm 100 by Baruch Shor and “Eil Erech Apayim from Cantor Einhorn. Chazan Leo Funke sang “R’tzei,” Cantor Weiss sang “Ribono Shel Olam.” “Eshkol,” composed by Dunajewski was performed by Chazan Gross. A review of the event by the musical critics of the newspaper Die Warheit praised the high level of the cantors and the choir. On Wednesday 23rd March 1932 a liturgical concert was held in Vienna under the auspices of the Synagogue “Eshel Avraham,” with joint choirs of the community and the conductors B. Hirschmann, and H. Schor, and with the participation of violinist and conductor Kurt Fuchsgelb and the famous pianist G. Koller. The Chazanim were M. Abrahamson (Chief Chazan from Budapest) and the Vienna Chazanim S. Landerer, Gershon Margulis, Leibush Miller – all famous cantors. Aongst other pieces they sang the following works: “R’tzei, “Y’hi Ratzon”, and “Shoshanat Ya’akov” (Cantor S. Landerer), “Eil Erech Apayim” by Baruch Shor, “R’tzei” by Goetchel (Cantor Abrahamson), “Min Hameitsar” by Dunajewski, “V’te’erav”, “Uvashofar Gadol” by Leo Low, “Psalm 100″ by Lewandowsky (Cantor G. Marguelis), “Zacharti Lach” by Louis Lewandowsky, “Mimkomo” by Dunajewski, and “Rachem Na” by Leibush Miller (sung by Cantor Miller). The Honorary President of the Cantors of Austria praised the high level of the concert, but expressed regret over the absence of specific Cantorial pieces like “Y’hi Ratzon” (the blessing of the month) and “Une’taneh Tokef”, and the absence of works by Salomon Sulzer, specifically at a concert held in his city. 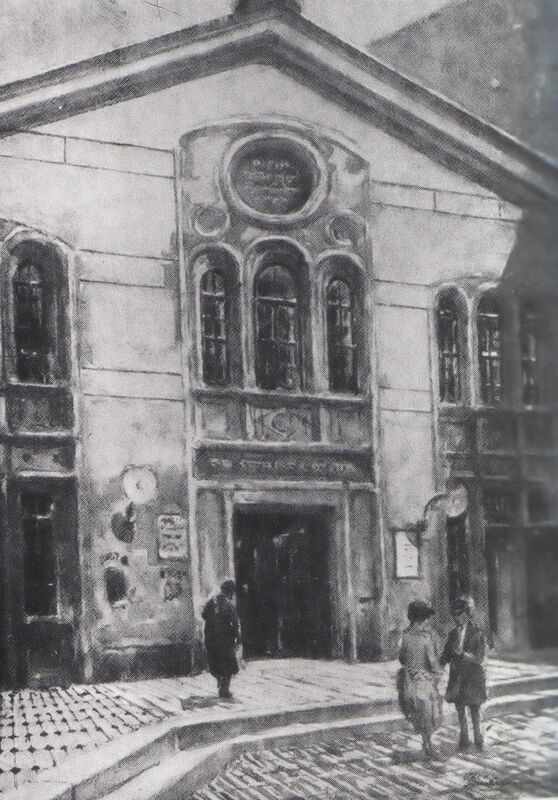 On 12th May 1936 Cantor Moshe Kussevitsky from Warsaw appeared in the Neudeggergasse Synagogue in the 8th District. In the Friday evening service, accompanied by the choir ‘Hanigun’ under the direction of Herman Schor the programme included ‘Sefirat HaOmer,’ ‘Ahavat Olam’, and ‘Kiddush.’ This performance received rave reviews by the music critic of the newspaper Die Warheit. During Hanukkah in 1933 the Jewish newspapers in Vienna reported in detail on many Hanukkah celebrations held on behalf of various synagogues in the different districts and organizations. The participants included rabbis, various cantors, Jewish choirs, synagogue choirs, musicians, Jewish actors and so on. The Chazanim occupied a prominent place in these events participating in the lighting of the candles and also as artists and singers of Hebrew songs, songs in Yiddish, and of course Cantorial and opera pieces. It is estimated that events such as these in 1933 took place every year in Vienna on a similar scale until 1938, when the Nazis took over Austria. The Chazanim of Vienna together with those of other European communities, arranged liturgical concerts outside Vienna, at the health resorts in Austria, Czechoslovakia and Hungary. Leibush Miller had great success in Budapest. In January 1934 Cantors Tchernowski from Prague, and Israel Alter Hanover, (he had moved there from Vienna) appeared in Bohemia in the health resort, in a liturgical concert, for Jewish holiday-makers at Marianbad. Alter included his composition “Akavia ben Mahalalel,” that January 1926. A Cantorial Shabbat, with Cantor Tchernowski was held in the Great Synagogue in the resort town of Carlsbad in January 1926. As noted earlier, and for the reasons that Vienna was singled out as the musical centre of Cantorial Studies, Vienna served during the final three decades of the nineteenth century as a place of advanced studies for cantors. Many came to learn Chazanut with Sulzer, including cantors from Poland, Russia, Ukraine and the peripheries of Austria-Hungary. Goldstein, Joseph Singer, Jacob Bauer, continued to serve as teachers of Chazanut, and many came to study with them. 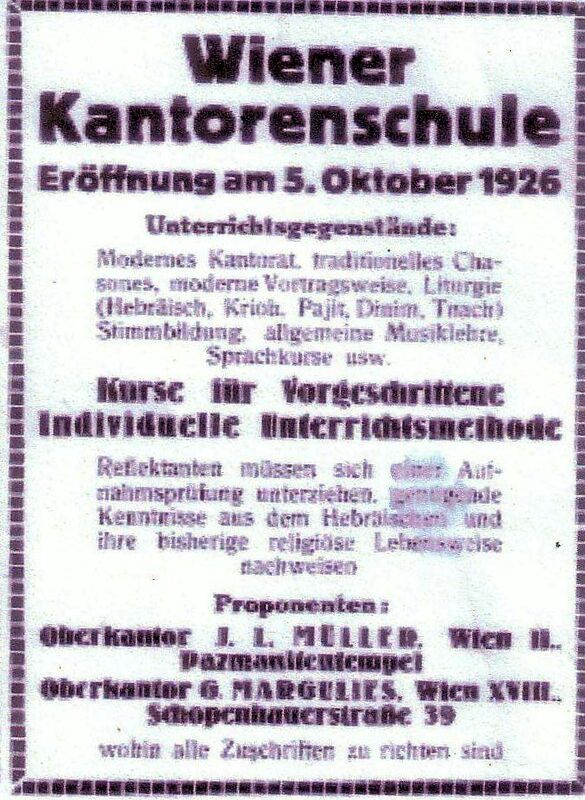 In the newspaper Die Warheit (June 1920), Cantor Jacob Bauer published an advertisement inviting students to study all levels of Chazanut with him. He notes that so far he taught and trained about 300 cantors from Austria and its surroundings, using his “famous” methods. Among the generation of Chazanim of Vienna in the first four decades of the twentieth century, teachers included, Emanuel Frankel, who trained many students. Yehudah Leib Miller and Gershon Margolis set up a Cantorial College which they publicised in the Jewish press in the city. Advertisements appeared in the summer of 1926 which stated that the beginning of the school year would be on October 5, 1926. Subjects of study included, Cantorial singing on all levels, Nusach Hatephillah, music, Cantillation, Laws, Judaism, Hebrew and voice production etc. The school was supported by an organization headed by the Organisation of Austrian Chazanim led by Isidore Cantor Levitt, who also published a detailed article of support in the newspaper Die Warheit. The school received professional sponsorship from the Jewish Theological Seminary in Vienna. Other Cantors in the city also served as teachers, and they also trained many students, including cantors such as Shmuel Baruch Taube, Benjamin Ungar, Asher Koren etc., who were students of Cantors Frankel and Miller. The majority of Chazanim in Vienna attained their position in their synagogue after a competition, and in accordance with community practices most of them were residents of the Austro Hungarian Empire, mainly from Hungary, Bukovina, the Carpathian region and Galicia. Some of them came from Poland, Ukraine Lithuania and Russia. The number of Viennese was limited, and among them were many sons of immigrants from the periphery. They used Sulzer’s style of praying, but utilised the Eastern European Nusach to which they were accustomed. This created an interesting combination between the style of Sulzer and compositions in the Nusach and the style of Eastern Europe, (Zeidel Rovner, Goldstein, Rosenblatt, etc.) A time limit was set on the duration of the service, and there was an insistence on the non-repetition of words, a requirement that made it difficult for Chazanim of the Eastern European tradition. Although many learned from the recordings of Cantor Zawel Kwartin, who created the style of prayers accepted in Vienna, they had to be careful not to repeat the words of the prayers and to reduce the ‘crying’ that characterized his Chazanut on the records which he released later when he served as Chazan in the U.S. From the twenties onwards an accepted style crystallized in the synagogues in the cities of Central Europe. With the establishment of the Nazi regime in neighbouring Germany in 1933, the decrees against the large Jewish community in Germany, gave the Jewish community in Austria concern for the future. From the early thirties the Vienna community was reduced due to emigration, immigration laws made it difficult for immigrants of Jewish origin to settle in Austria. On Friday 12 March 1938 the Nazis invaded Austria and were accepted there with open arms by most of the population. The Anschluss was achieved, and this was beginning of the end of the Jewish community. Within a few days decrees were issued. First Jewish civil servants were dismissed, and later the “Nuremberg Laws” were enacted, at the same time physical and economic harassment of Jews took place on the initiative of Nazi movements and their various administrations. Much of community wanted to emigrate, but they found difficulties in achieving these ambitions. Community funds were confiscated and synagogue activity restricted. But the worst event of this year was Kristallnacht in November, during which 49 synagogues of the city were burned and destroyed, apart from the city synagogue in Seitenstetten Street, which was damaged and looted but not burned because of its location in the First District, and the danger a fire would have caused to its immediate vicinity. A recognisable section of the Chazanim, like many others in the community, sought refuge outside, but the gates were blocked and only a small number of the Jews were fortunate to be saved. One thing was clear; there was no chance at recovering the community. The authorities destroyed and burned synagogues in order to stop Synagogue activity. Like most of the community, the rabbis cantors, singers and choirs, and conductors just sought to remain alive. There were those who remained in the city. Some who were unable to leave, and others because they believed in miracles. A letter written in June 1939 from chief cantor Matthias to Cantor Usher Koren, who was already in Tel Aviv, described the situation in Vienna, “You are scared day and night and don’t believe in your life, Heaven save us.” He includes in his letter, which was written in Hebrew and German, out of the fear of Nazi censorship, a description of the difficult situation of religious life and destruction. 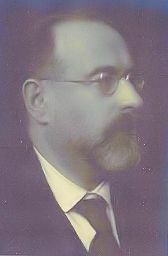 The Secretary of the British Cantors’ Association, Hermann Meirowitz, formerly a cantor in Vienna, approached the authorities in Britain and worked, with some success to obtain visas to Britain for some of the Chazanim from Vienna. Some, like Margulis, Fisher and Postolov of them actually came there. Leibush Miller went to Israel and was spared. Emanuel Frankel obtained a post in Libau in Latvia, but in 1941 the Nazis murdered him in this city. Cantor Matthias, was sent to the ghetto in Theresienstadt where he met his death as did Cantor David Gross, his wife and daughters. Cantor Leo Funke was sent to Theresienstadt, as was Cantor Balaben. From there were sent to their deaths. The choir conductor Hyman and his wife ended their lives in Auschwitz, like the remaining sixty thousand Jews who remained in the city and were liquidated in the ghettos to which they had been shipped. Most cantors who left Austria were adults (over 50) they therefore had difficulty finding a regular job because of their age and because posts were already taken. Some, like Joseph Feuer, Fostolov, and Margulis were absorbed in the U.S. and others found their death in the Holocaust. This was the end of the most important centre of Chazanut in Europe, since the community never recovered. Most of the city’s Jews who survived the Holocaust did not return. There are now close to ten thousand Jews in Vienna, most of them who did not come originally from the city, being immigrants from Eastern Europe and former USSR. The city synagogue in Seitenstetten Street is the only one remaining of beautiful synagogues of the past with permanent Chazan. There are a few other places of worship in the city. D”r Hugo Gold. Geschichte der Juden in Wien .Press “Olamenu”, Tel Aviv 1966. 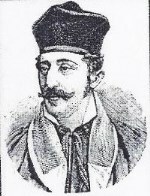 Piere Genee, Wiener Synagogen 1825 to 1938, Wien 1987. “Heint” Yiddish newspaper, Riga 1938,1939. Dr. Joseph Karniel “key news of religious Judaism in Austria”, Bar Ilan University, Faculty of Jewish Studies in 1996. Akiva Zimmermann “B’ron Yahad”, Tel – Aviv, 1988. DR Blochs Osterreichische Wochhenschrift, Wien (Vienna Jewish newspaper until 1920).